Extreme sports of the wintry variety clearly aren’t for the faint-hearted, and anyone that partakes in snowy slopes that have more in common with the vertical than the horizontal need their head examined. Not only is it dangerous but it also happens to be bloody expensive to boot, which means that most of us will only ever be exposed to this world through either the Winter Olympics or the occasional video game. 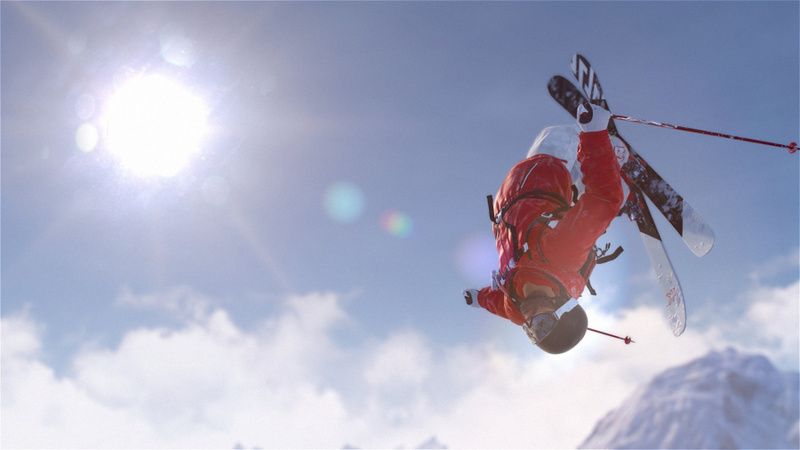 With Steep, Ubisoft aims to capture the thrill of these extreme sports – minus the broken bones and empty bank account – by rolling up skiing, snowboarding, paragliding, and flying a wingsuit into a single bundle, before dropping it all into an open world packed with enough sick drops to keep any digital thrill seeker happy. 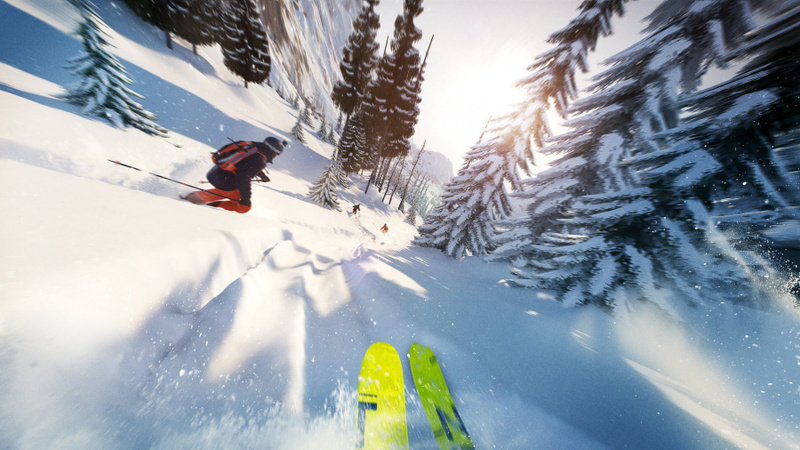 Encompassing the Alps with such big name mountains as Mont Blanc and the Matterhorn, Steep’s game world offers well over a hundred challenges across its four disciplines. What you end up doing in these challenges generally depends on which of the sports it relates to, but even within each one you’ll find some welcome variety which enables you to bounce around and avoid doing the same sort of events in quick succession. It’s also really nice to see some events try to get away from the usual races and trick challenges – even if these only turn up occasionally – and Steep feels at its strongest when it gives you a distant point to reach and leaves you to find your own way. Anytime you’re asked to hit a specific set of checkpoints, the possibilities of the open world narrow, and while it’s all still fun, there’s nothing quite like the freedom of heading for a point way off in the distance with no idea what terrain lies between you and your goal. To its credit, Steep does get the most important things right. Chief among these is the sense of speed it manages to convey when you’re flying down – or over – its many slopes. This makes the faster challenges enjoyably intense, and you’ll often feel like you’re right on the cusp of losing control and careening off a precipitous drop. In addition, all of the different methods of traversal control really well, and anyone familiar with SSX or other such titles will pick it up quite quickly. That said, there are a couple of odd exceptions where Steep does a really bad job of explaining how things work. The first of these is the paragliding, where you rely on updrafts to gain altitude and economy of motion is the key to a fast time. Strangely, neither of these nuances are clearly explained at any point during Steep’s lengthy tutorial, and you’ll be confused as to why your performances are falling short until you eventually – by trial and error – work it out for yourself. The second area is the G-Force system that acts as a sort of health meter for your character. Should you take a heavy impact, or stray off the snow too far, then the gauge will deplete, but this can be replenished by riding cleanly or by getting your velocity under control, thereby avoiding wiping out. It’s a nice little mechanic that adds a nuance and strategy to controlling your speed, but again it’s hardly explained to the player, making it seem fickle and inconsistent until, after a fair few hours, you finally get to grips with it. When not taking part in any of the challenges, you’re free to roam around the open world, switching whenever you like between the four disciplines, while also soaking up the atmosphere. 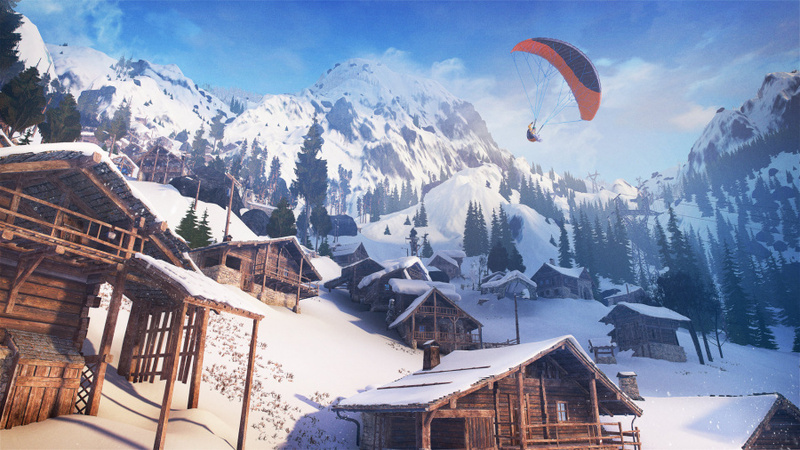 Hunting down drop zones – which act as fast travel points – uncovers new challenges and activities, and on your travels you’ll come across other players roaming the countryside as part of the seamless online play that’s supposed to be a big part of Steep. This element feels less adversarial and much more social than the usual multiplayer, especially when you’re trying to play the same challenges, as it’s hard to coordinate things so you all start at the same time. As a result it doesn’t feel like a critical part of the experience and you’ll probably run through the game predominantly solo, happy to leave the other players to act as window dressing for the open world, or some comedic relief when they crash spectacularly in front of you. With numerous mountains and valleys for you to explore, the snowy landscape looks really nice, especially as the time of day and weather conditions change. It also runs really well on the PlayStation 4 Pro with a framerate that, while not locked at 60 frames-per-second, is close enough that you’ll never feel like it’s causing a problem. The sound design’s strong as well, evoking the atmosphere of snow swept peaks by downplaying its licensed soundtrack in favour of cranking up the ever present sound of rushing wind and skis on snow to great effect. 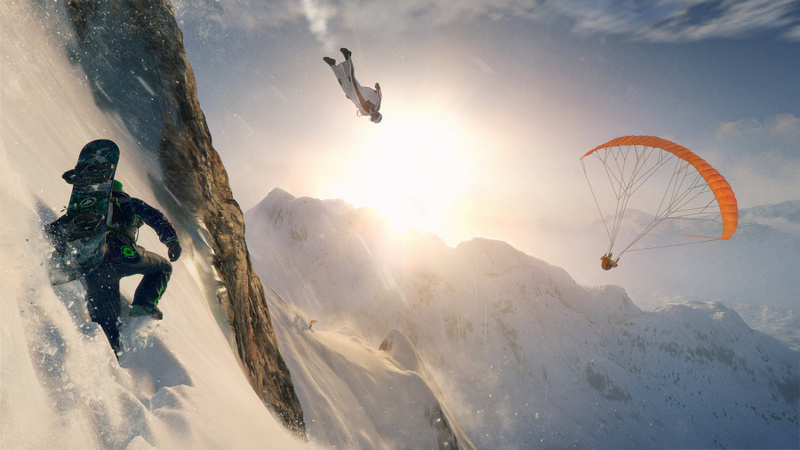 Steep is very successful at capturing the breakneck exhilaration of Alpine extreme sports, and with an atmospheric open world that’s packed full of enjoyable challenges it picks up the mantel dropped by the likes of SSX well. While it doesn’t quite hit the lofty peaks it’s aiming for – mainly due to some poorly explained mechanics and the underwhelming multiplayer – you won’t be piste-off if you decide to take the plunge.